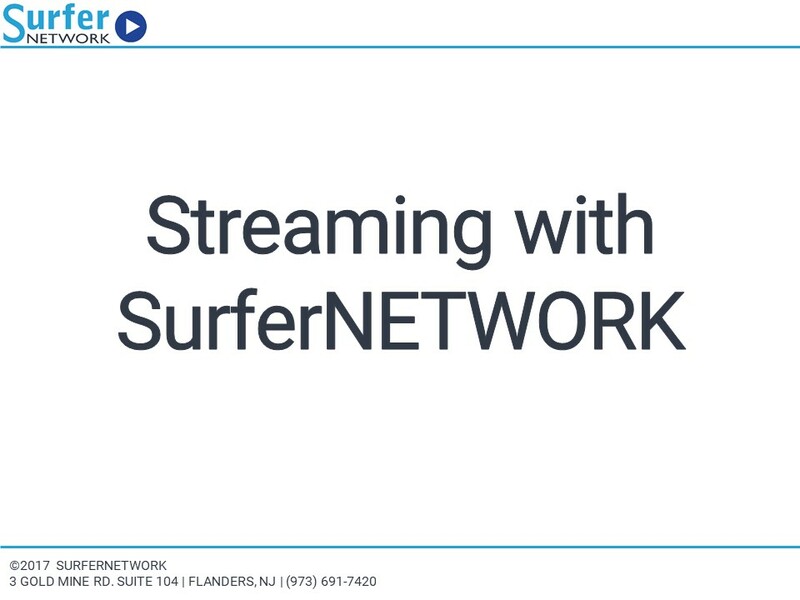 Fill out the form below to download a quick intro presentation to learn more of what streaming with SurferNETWORK is all about, from our industry leading customer support to our customizable media player and everything in between. SurferNETWORK is here to help YOU make the most of your streaming efforts. Find out how and get started today!